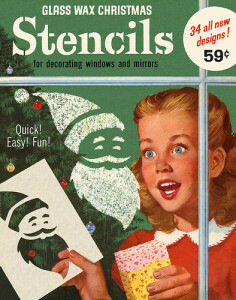 Christmas Countdown 2012: 8 days! We used to have something similar when I was a kid, but it was spray-on snow from a can. This looks much easier, though, and less messy! Probably a lot less fumes, too! That canned snow killed a few brain cells, I think! This looks like a real pain to clean, though! A week from today is Christmas Eve! We’re in the homestretch!